DA12. 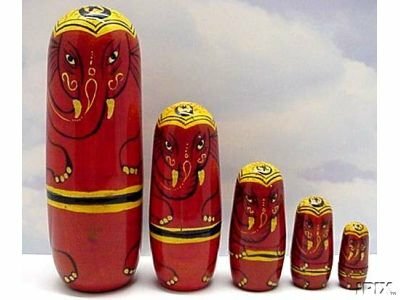 India Red Elephants 5n 6.5"
This bright Elephant nesting doll was made in India. The largest doll measures 6 1/2 inches tall. The smallest doll opens in this set (by design).